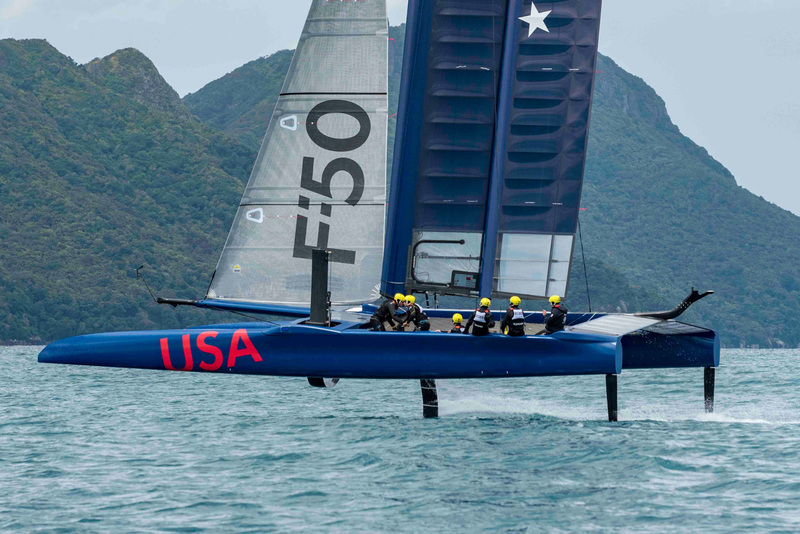 Sail Grand Prix (SailGP) is an all-new international competition showcasing supercharged F50 catamarans battling it out in F1 style during a $1-million winner-takes-all match race. Hitting the waters of Sydney for its inaugural debut this February, you can pay $89 per person to secure top-notch spectator seats to all the action on a four-hour cruise around Sydney Harbour. Valid for 15 or 16 February only. 15 February sailing departs 2.30pm, returns 6.30pm. 16 February sailing departs 1.30pm, returns 5.30pm to King St Wharf , Darling Harbour. 15 February tickets do not include lunch or all-inclusive drinks package. Food and drink is purchasable at an additional cost and paid directly onboard the ship. Sydney Harbour is one of the most beautiful natural harbors in the world and an iconic backdrop for the inaugural SailGP event. Sydney Harbour: one of the most beautiful natural harbours in the world. And the iconic backdrop to the inaugural SailGP event. 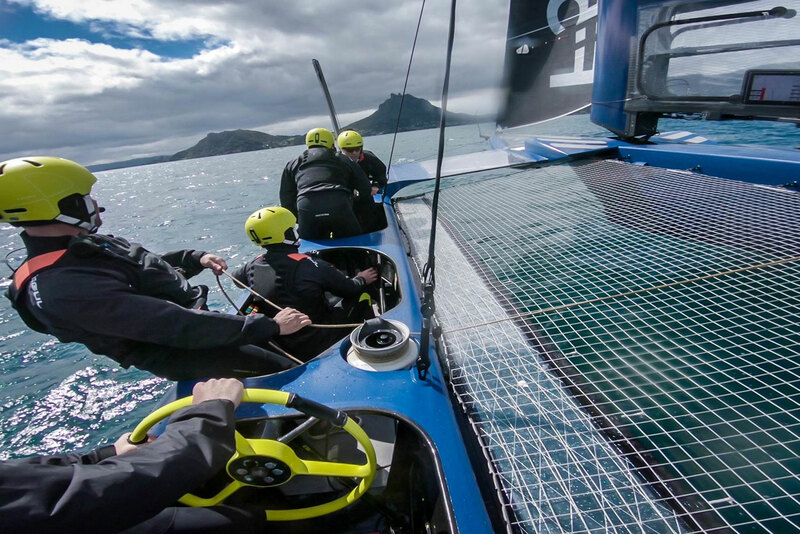 SailGP is sailing redefined, combining awe-inspiring athleticism with top-flight tech. 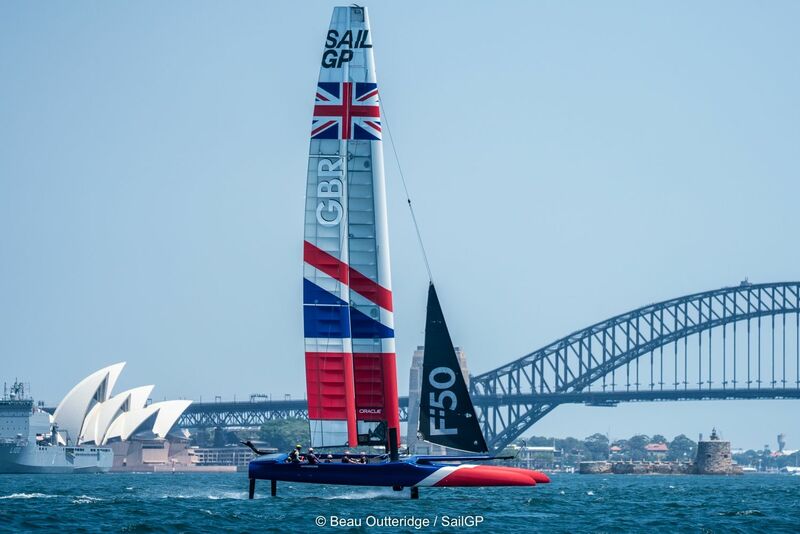 Bringing you the thrilling sight of supercharged F50 catamarans charging down Sydney Harbour, battling it out on the water for their countries in an all-new nation vs nation international competition. The event will showcase the best the Harbour has to offer, with a great range of free and ticketed spectator experiences on- and off-water. 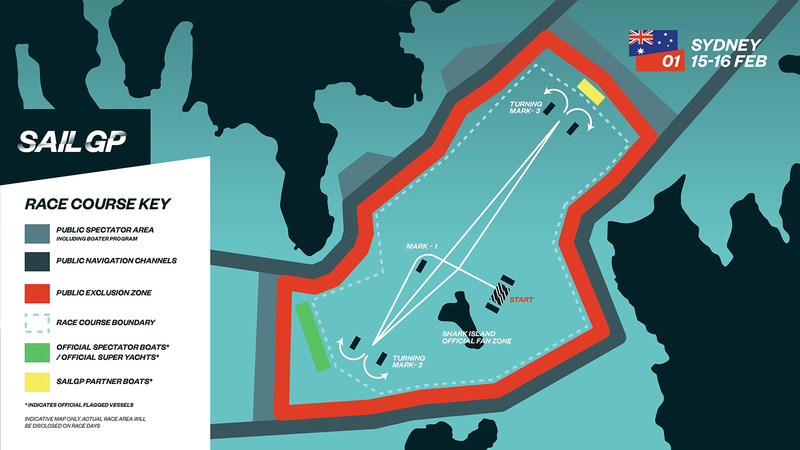 Indicative Race Area Map: Actual race area maps and exclusions zones will be made available on sailgp.com/sydney each practice and race day.